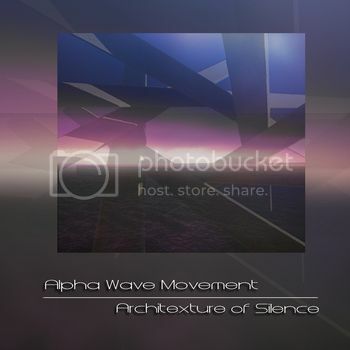 The latest Harmonic Resonance Recordings release Alpha Wave Movement "Architexture of Silence" is now available on Bandcamp. Architexture of Silence is the 18th Alpha Wave Movement release and it is an excursion into the realms of ambient music where interlacing branches of timbral topography expand across the subtle macrocosm of silent reflective inner landscapes. This release hearkens my return to using a very minimal hardware(0% software synthesis) setup and no computer based sequencing. In other words I used an ancient(by today's standards) hardware sequencer as a sketch pad. Composing in a limited medium beckoned the creative and spontaneous muse to sculpt the musical movements that became Architexture. There are no track titles per se and the music is volatile with a sense of distant openness in so much that labeling and forcing any title upon the listener would distract from the sublety. CDs will be available later this week. Downloads are available immediately for purchase.